“I felt like you really betrayed me when you did that to me,” my daughter sternly said to me. We weren’t having a fight, and she wasn’t mad at me. My daughter and I were role-playing as a part of a leadership workshop put on by Girls Leadership, called Be Who You Are. Say What You Mean. 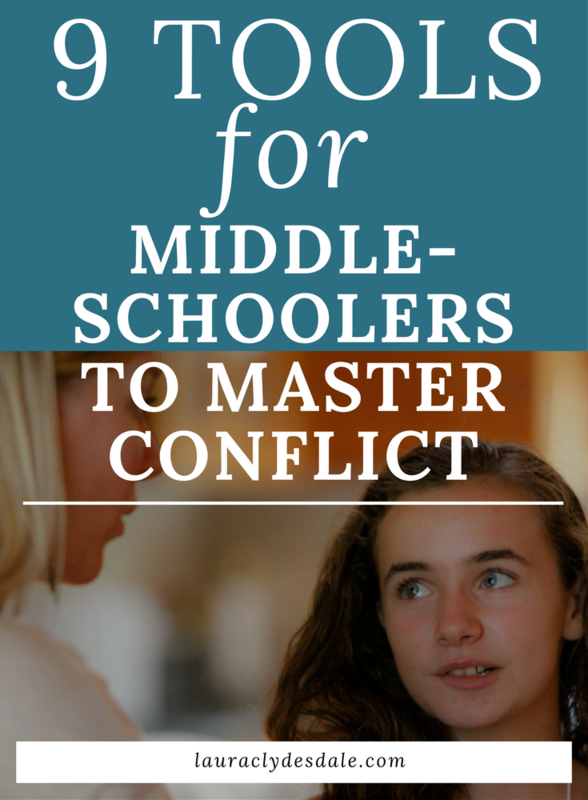 As the title implies, we were working on conflict management. As those of you who follow this blog know, my daughter has been dealing with a caustic friend over the last six months. Realizing we needed some professional help, I enrolled us in this parent-daughter class. So what does a workshop dealing with conflict and having difficult conversations have to do with girls’ leadership or even leadership in general? The answer lies in the fact that along with strategic thinking, decision-making, and problem-solving, the most successful leaders tend to show finely-honed communication skills. Good leaders tend to develop healthy, strong relationships with others up and down the reporting ranks. They can get their point across, have strong negotiation skills and know what they “need,” while working for a win-win solution. They also can communicate in difficult situations, usually by practicing this skill over time. 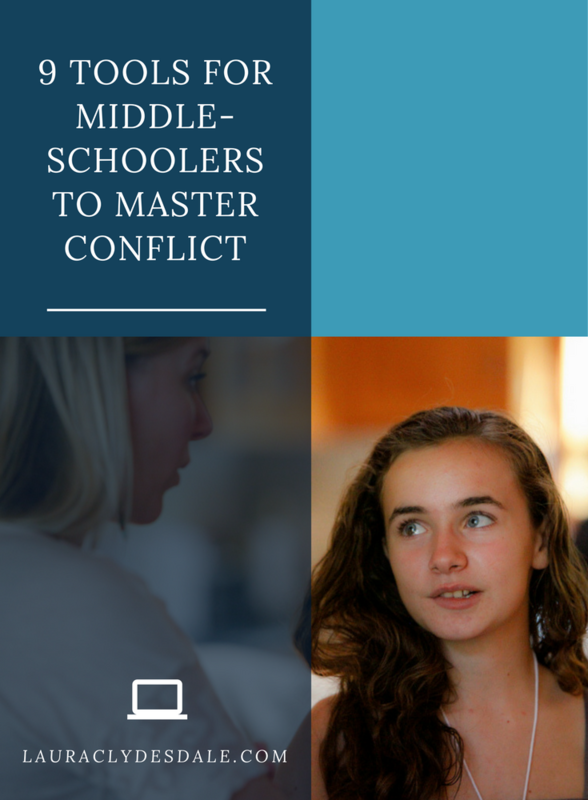 Conflict management is one of those skills sets that no one likes to tackle, let alone practice, but research shows girls, in particular, treat it like the plague. In fact, many of us don’t deal with or prepare for conflict management until we are in it. At that point, we usually end up flying by the seat of our pants. We can make things worse, occasionally better, but often, we decide to avoid it altogether. In fact, avoidance often makes problems worse. What is amazing is that although girls believe they excel in verbal and written communication, and thrive on and prioritize deep friendships, they often don't have the nuanced interpersonal communication tools to navigate those relationships successfully. Dealing with conflict with confidence can put girls in a position where they might not be “nice” or even likable for a little while. So, instead, many girls who wish to avoid any semblance of conflict to maintain their “good girl” persona, end up sacrificing authenticity, critical thinking and feeling more in control of situations. 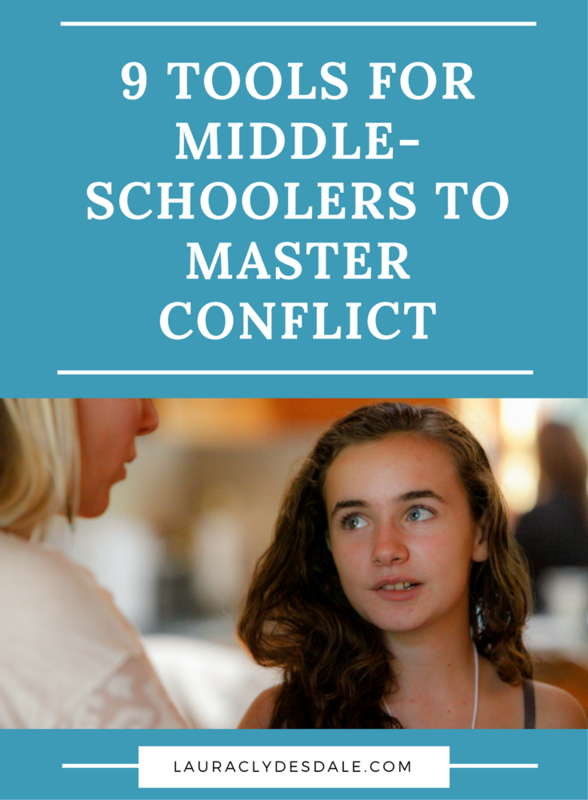 If you can manage and practice your relationship conflict, starting in middle school, you might be better able to manage conflict within teams, between key stakeholders or in business negotiations. But learning to deal with conflict isn’t just a great leadership skill, it's a great life skill. Good friends have conflict too - not to mention spouses. This is why 18 mothers, two dads, and 20 girls were in a local school’s classroom mock “fighting” with our daughters. Girls Leadership Research Institute provides a unique, fun, theater-based approach which integrates role-play to solve subtle-to-severe relationship aggression. It’s incredibly effective. Although there was some awkwardness initially, by the fourth meeting, the girls were out doing each other with their silly antics. 1. Use confident body language - Stand on both feet and try not to fold your arms or play with your clothing. Don’t smile if you want to be taken seriously. 2. Make eye contact - Make firm eye contact without looking at the ceiling or floor. This will tell the person that you are serious and confident. 3. Use a firm tone of voice - Keep your tone even and respectful, and your volume consistent. Try not to let the volume fade or your tone go up as if you were asking a question. 4. Say how you feel - Let the person know what is going on for you inside. Sometimes we expect people to know how we are feeling without telling them. This isn’t fair to them. Communicate your emotions. 5. Ask for what you need - This one might require some planning. Do you need space, attention, respect, or just a seat at lunch? What do you need the other person to STOP doing or START doing? Make sure you know what you are asking for before you start the conversation. 6. Ask a question - It’s often helpful to start with a question. If you know what the person did, don’t ask, “Did you do ‘x’?” Instead, ask, “Why did you do ‘x’?” This will make it hard for the person to deny what she did, and you might get some surprising information. 7. Apologize if you’ve done something to make the situation worse - The other person might say she’s sorry too. A.) You’ve tried other tools, done the best you can, and nothing has changed. B.) You feel yourself getting worked up and need some time to calm down and think clearly. 9. Tell them what a true friend is - Ask yourself, What are the things that are most important to me in a friendship? Then share them with your friend. For example, someone who listens, takes care of your feelings, and is friends with you all the time. Remind them that you are not okay with part-time friends. Often, these conflicts require me to be a Monday morning quarterback, but now I had a role-play toolkit I could reach for when my daughter came to me for advice. I’ll have my toolkit, and I can help my daughter apply it, depending on the situation. This article can also be found on the Girls Leadership Blog here.